Beautiful eyebrows in women are arch shaped with brow bone showing below the outer eyebrow . In men, eyebrows are relatively lower and flatter. Eyebrow, especially its outer end can sag down because of gravity or because of downward muscle pull. This commonly happens with age but can hereditary. Lowering of eyebrows makes them flatter, makes eyes look unattractive and can add to excess skin and heaviness of the upper eyelid. Lifting up the eyebrows rejuvenates the look and reduces the problem of hooding and restriction of vision that can happen in severe cases. 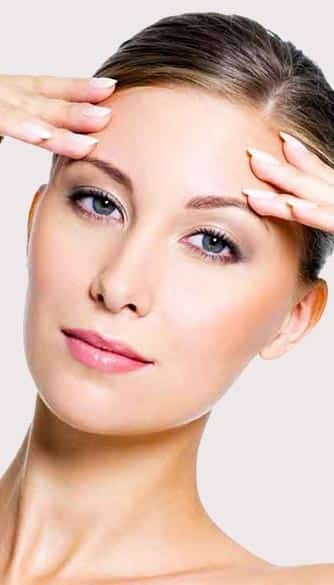 Botox: Botox injections into the muscles that pull the eyebrow down can lift the eyebrows. Viora RF treatment: it tightens stin and tissues of forehead and pulls the eyebrow up. People whose eyebrow, especially its outer end is dropping down, causing hooding of excess skin over the eye. What is the recovery time after Brow Lift Surgery? Brow lift Surgery is a day care surgery. One can go back to work in 2 weeks usually. Are there any visible scars after Brow Lift Surgery? Yes . Botox is a safe procedure. Is there a nonsurgical option for a Brow Lift Surgery ? Botox and Filler injections work in mild cases of drooping brows. Can Brow Lift Surgery be combined with other surgeries? Often Upper Eyelid Blepharoplasty is required in addition to Brow Lift To get the best results.